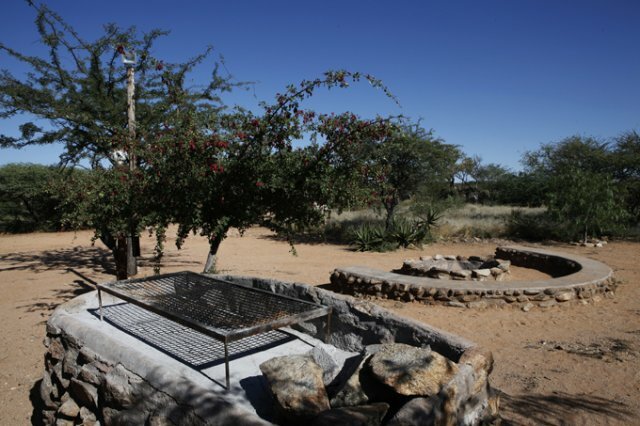 Oppi-Koppi Rest Camp, located in Kamanjab, is an oasis in the desert and a quiet place to enjoy yourself and recharge before continuing the journey to Damaraland, Kaokoland, Skeleton Coast, Etosha Park or Windhoek. 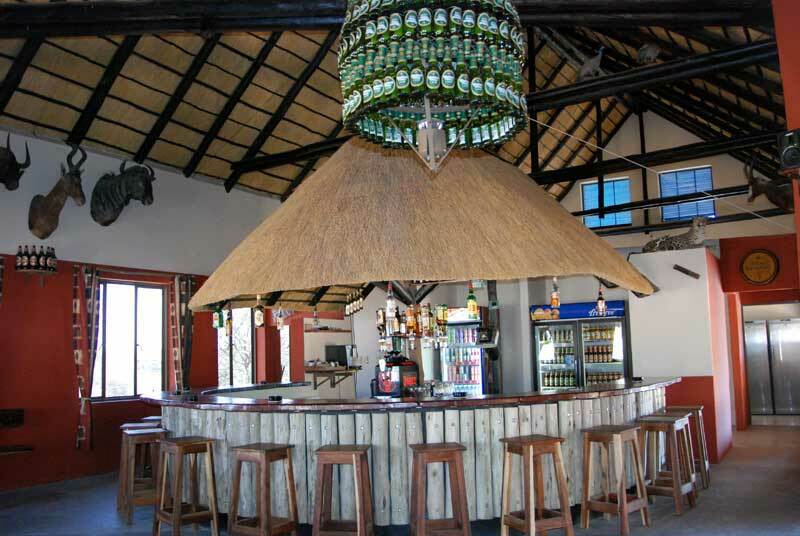 Oppi-Koppi's bar is one of the friendliest in the whole north-western Namibia, and in restaurant you can enjoy a delicious menu with European operation. 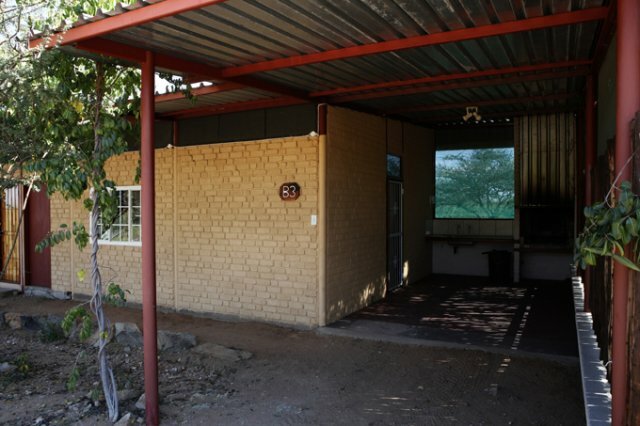 All bungalows at Oppi-Koppi have their own braai place and fan in the room, bags and kettle with coffee, tea, sugar and milk. Evening walk to the bar-restaurant and pool are equipped with lighting. Also there are security guards at night to ensure that you have quiet night, comfortable and safe. 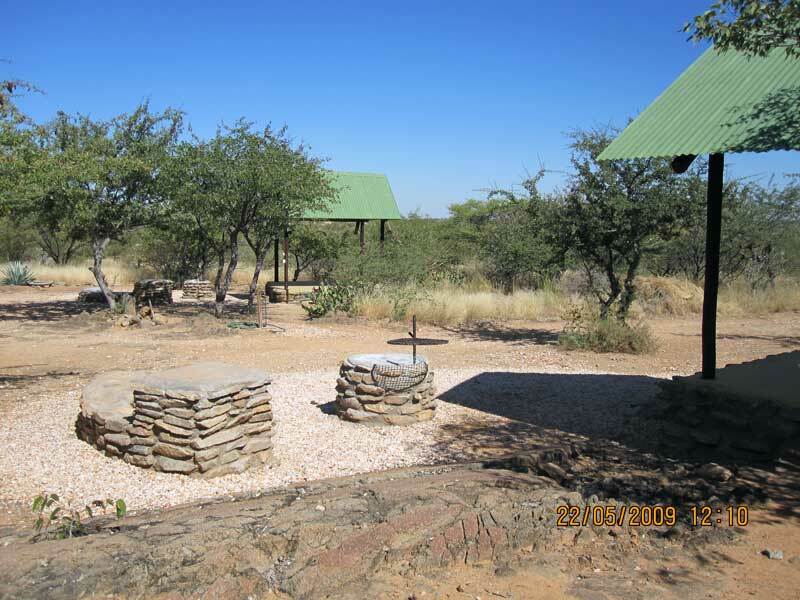 All campsites have water, electricity, lighting and braai area. 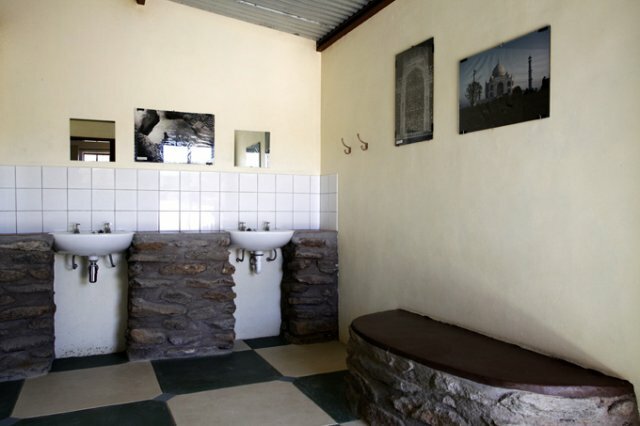 You can walk from 30 m using clean toilets and shower with hot water. Walking into the bar-restaurants and pool are lit at night. Hosts have the whole night on security service. 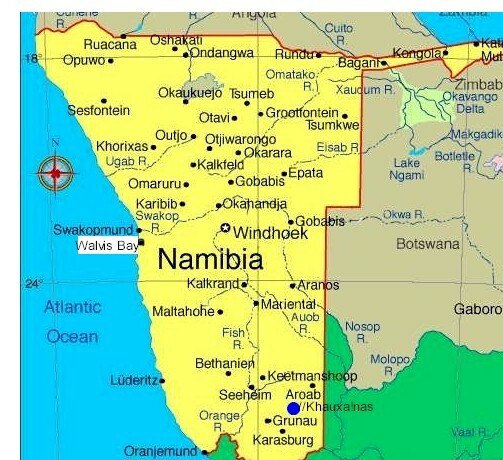 Oppi-Koppi is an ideal stopover if you like to drive to Windhoek or Damaraland , Kaokoland , Epupa Falls or want to drive to Swakopmund or vice versa. In OPPI-KOPPI you can just relax. 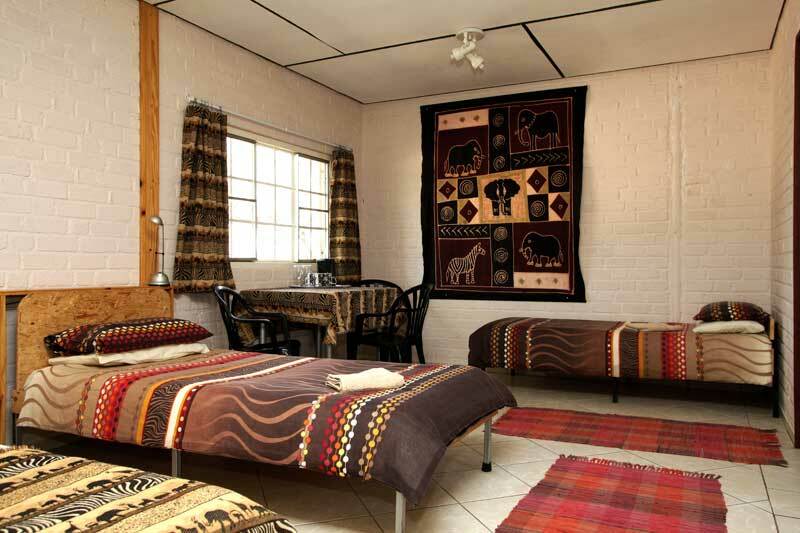 You can also stay a few days to a nearby visit: Himba village - porcupines - a view of historic rock art a GAME DRIVE or visit a CHEETAH farm. All these activities can be found in the area. 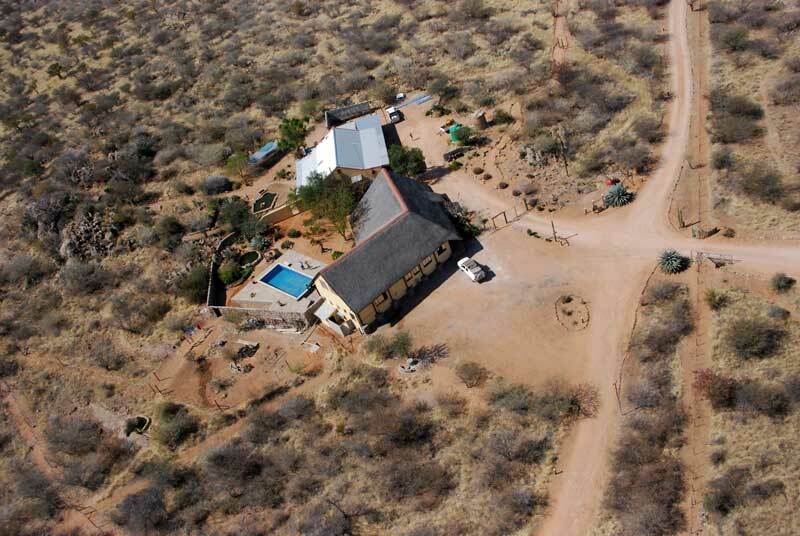 With a 4x4 you can also look for the desert elephants, lions, rhinos or continue driving to Etosha for many wild animals. Behind campsite you can take a walk and see many birds and beautiful trees between rocky mountains. 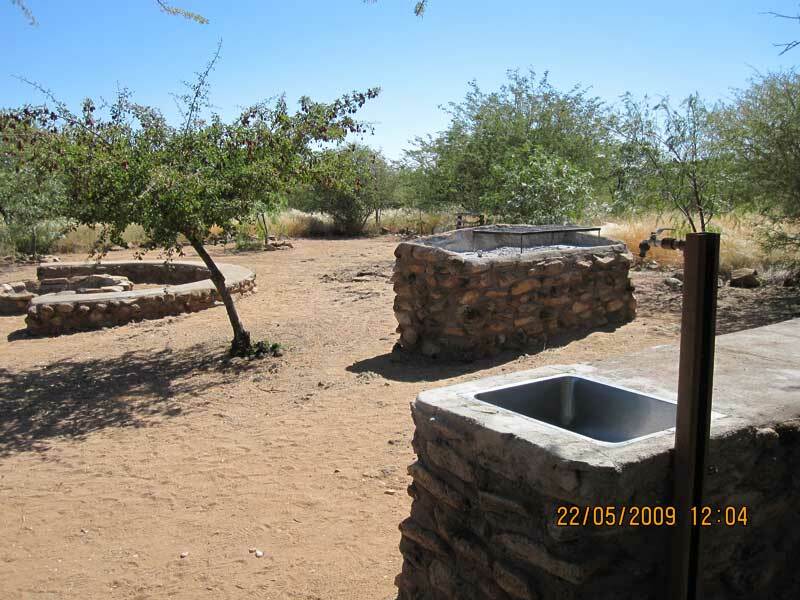 Oppi-Koppi Rest Camp is situated 300 m from the center in Kamanjab at the junction of C40 and C35 Outjo-Palmwag Ruacana - Khorixas. 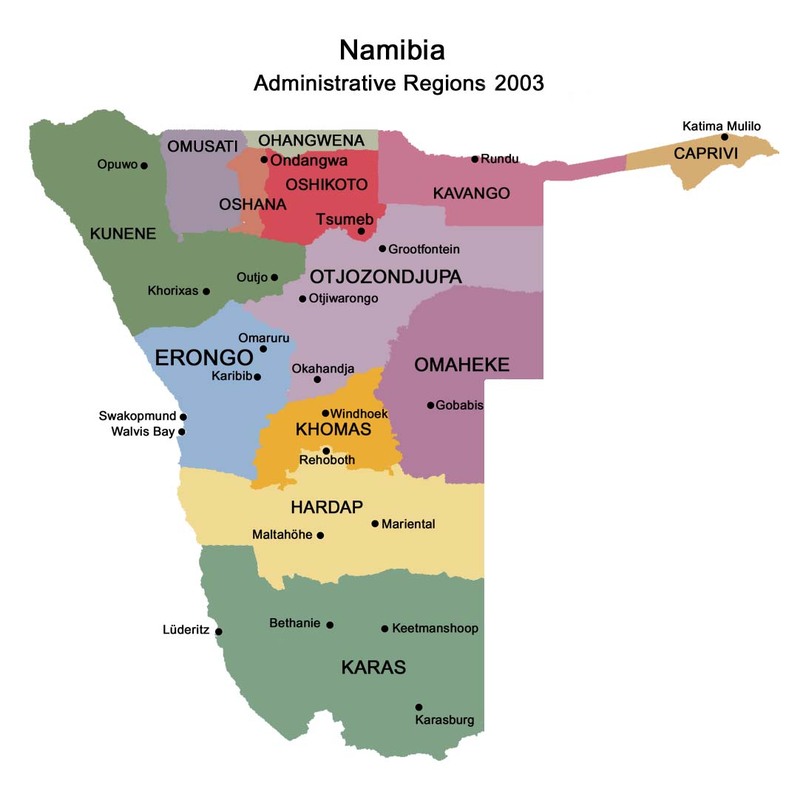 Kamanjab is the last major stop to travel to Damaraland and Kaokoland. GPS: S 19 37 244 E 14 50 866. 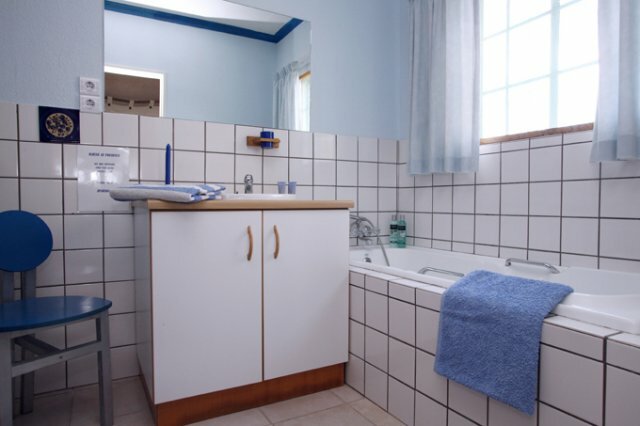 Free wireless Internet connection, TV, swimming pool and 24 hour security.